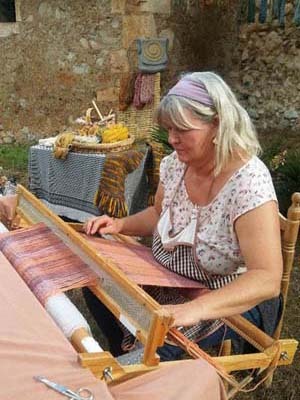 Wool artisan, Carla de Ruiter. I have this craft of wool transformation into my inner self and I work with that. I perform wool workshops in schools and fairs. 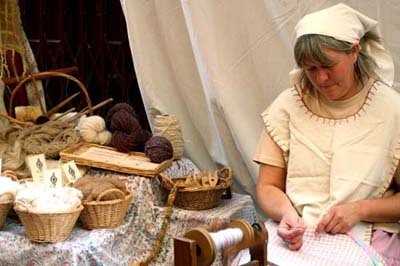 Craft demonstrations: spinning, weaving or dyeing. We collaborate to keep alive skills and techniques of rural life. Or through the web form. Some demonstrations that can be done at fairs. Towards the year 1998 I began to do spinning demonstrations with spinning wheels and spindles in artisanal, medieval and environmental fairs. I perform traditional craft demonstrations, the spinner, traditional weaver and dyer with natural dyes. 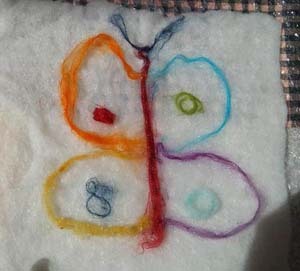 I use carders to mix fibers and colors. 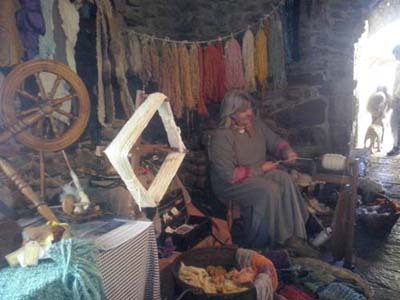 I get yarn by twisting the fibers with the spindle and the spinning wheel. 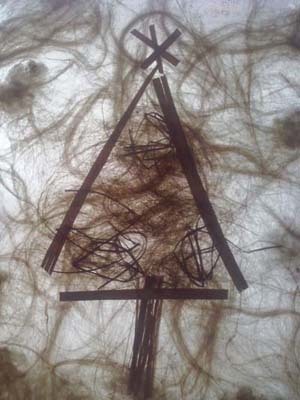 I dye fibers with plants, leaves and flowers of our environment. 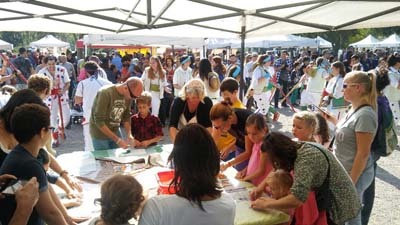 Show of workshops for schools and fairs. 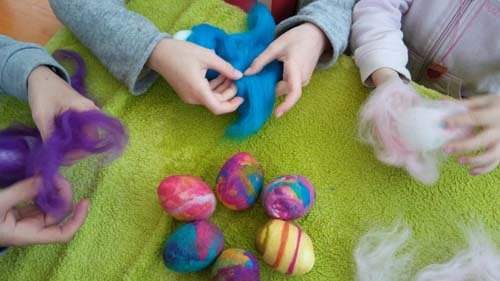 Experimental craft workshops in schools or fairs. 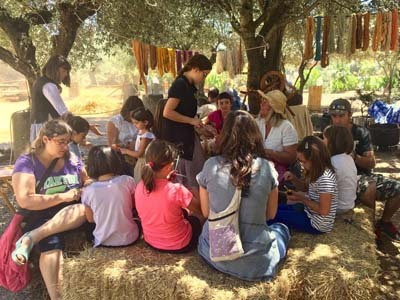 Therapeutic value of experimenting and creating with natural elements as invaluable support in special education and children's activities in general. 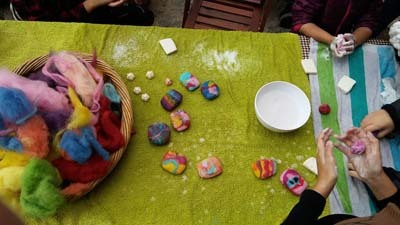 By making felt or fabric, the repetitive "go and come" is relaxing and meditative; connects each child-to with nature and its interior. Workshops focused on learning and experience throughout the elaboration process rather than a final result. 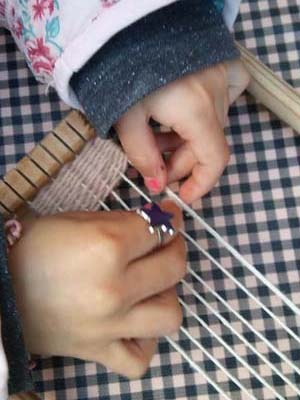 Small hands enjoy creating objects from natural materials. The workshops can be done within the classroom, in the countryside near a rural house with a workshop room or where you decide with your school. 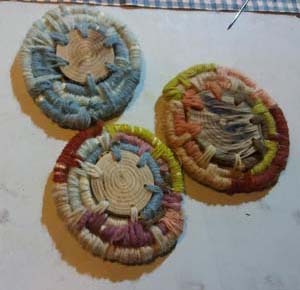 Small circular weaving with a wooden needle in a rigid structure (wicker, olive, leaves). We weave with cotton and woolen fibers dyed with natural dyes. 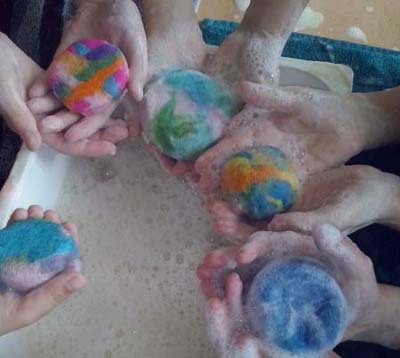 We will know the fibers that felt (shrink) and we will create a felted soap. We mix colors with small carders and we will create our own design around a natural soap. We observe: with our hands we convert the fibers of the wool into a fabric. We will work on a half-felted wool base. 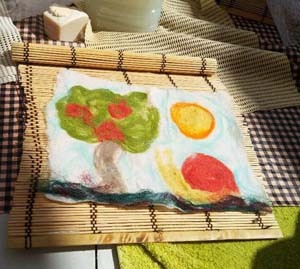 "We will paint" our design with colored wool fibers. 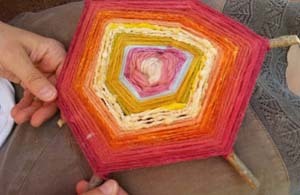 We will create our own motif or drawing with colored wool fibers and learn to make a tapestry without warp or weft. We will be surprised how this mass of wool fibers, with the work of our hands and small homemade utensils is transformed into a fabric. A wooden base with holes forms the base to create a small spiral fabric. 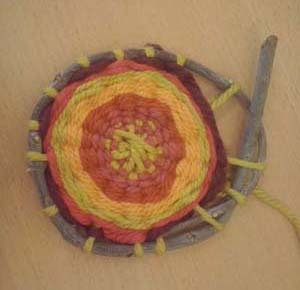 We learn in a very simple way how to weave in a spiral on a cotton cord. We observe traditional spiral fabrics and we will know habitual uses of this weaving technique. We will know different natural fibers of animal origin (wool, silk, mohair ...) or vegetable origin (cotton, linen ...). 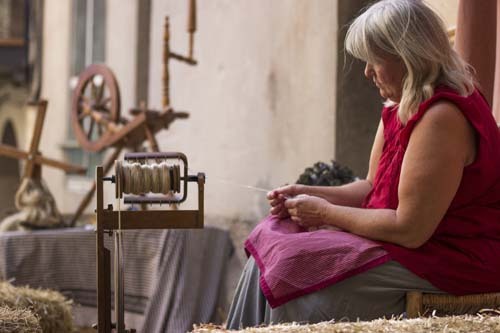 We observe and experience how the yarn is spun by hand. We weave a small piece with natural fibers dyed with natural dyes. From 7 years ’on. 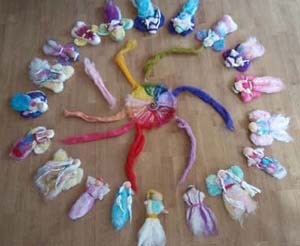 We will know the needle felting technique and we can create fairies. We will learn where the needles come from and what their uses are. 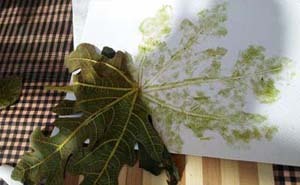 We will learn to extract shapes and colors of leaves, flowers and roots on paper or cotton. We will learn very well -with a loom- what the warp and weft mean. When we weave in a loom we can take out the created fabric of the loom when we finish. We present the different vegetable fibers to make paper: hemp, jute, cotton, linen, etc. We experiment with vegetable fibers, silk and other natural fibers to create our paper. We enter the wonderful world of bees. 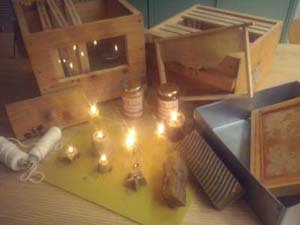 We will learn different techniques to create candles. At the end we will create a candle with stamped wax. We will know different basketry fibers and their use. 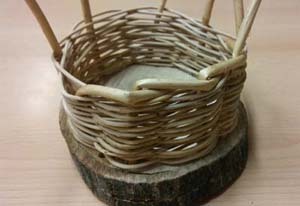 We will learn to create a small basket with a wooden base. 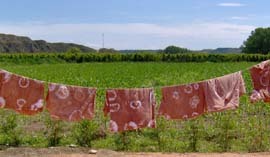 We discover what pigments of the environment can give color to the fabric. We will experiment with some natural dye and dye a fabric.